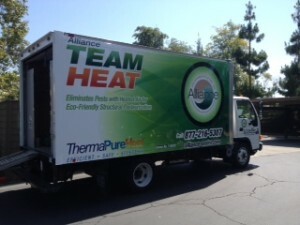 A new pest control company has decided to use our ThermaPureHeat system for a bed bug project! Doesn’t the truck look great? I have a feeling we’re going to have a lot of pictures of that truck all over, getting rid of bed bug infestations and putting customers’ minds at rest about their bed bug problems, without causing additional worry about chemical pesticides or reinfestation! 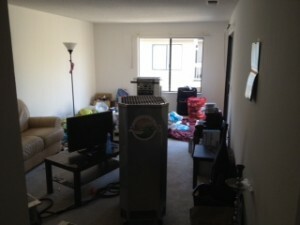 The project was a 2nd story apartment with both bedrooms infested with bed bugs. We brought in 7 new heaters and fans to eliminate all bed bugs, eggs, nymphs and adults in one treatment! In another Alliance project, the same equipment was used to eliminate a smoke odor from an entire house. ThermaPureHeat has a lot of uses,it’snot just for bed bugs! ...new truck will be there ASAP!